As part of the Helioscreen Autumn 2018 promotion we are offering a FREE UPGRADE to the incredible Helioscreen MAX Premium Awning Fabric with every Cassette Model Retractable Awning ordered between now and the 31st of May 2018. Helioscreen Awnings are recognised by architects, designers, discerning builders and property owners as the best in the world. They are made in Australia using the best materials and designed to last and keep looking great under the harsh Australian sun. 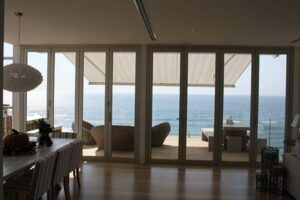 For an obligation free measure and quote on a Helioscreen Awning call us on 1300 766 319 or contact us online via the form below. Make sure you watch the MAX Premium Awning Fabric video too. This fabric is incredible!!!!! !